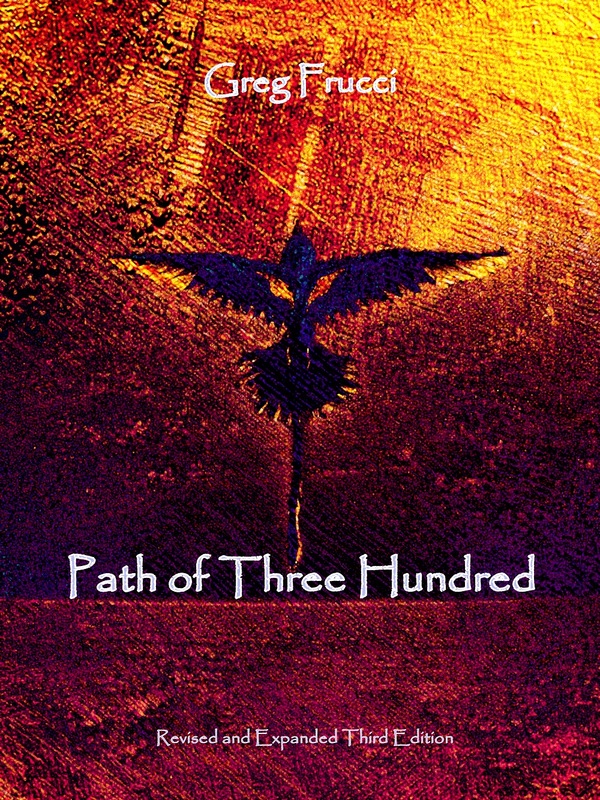 “Path of Three Hundred” is a published book by Greg Frucci. The story is based on real events, however the characters in the story are fictional. As the story is being read by an individual, it is my hope that you will be able to feel the journey of challenges for your Self…make it your own. For perhaps many or all of us…there have existed people in our lives who tell us what we “should” or “need” to do. Sometimes, we may feel in our inner Being what we think is right, yet we listen to others and sometimes let them make decisions for Us. This story is about a man who finally decides to take off on his own for a time…and listen to himself…his Inner Voice. Leaps of Faith abound in this story…”walls” of Life to be faced by an individual. Chances at leaps of Faith appear to all of Us at particular points along all of our Paths. Next time one surfaces in your Life, perhaps take it…you never know what you may find. The EBook is still in production by Balboa and will be available in all formats soon. All the best in your journey of sharing peace and understanding through your story. Touching lives is a beautiful gift you are giving the world. You photography is wonderful…I’m smiling big at the leap of Faith you have taken…nice! Thank you for the luck wish on the book…please feel free to download the Kindle Version…today is the last day it will be free on Amazon. Thanks for your visit to my site. Looks like we have some writing themes in common …. 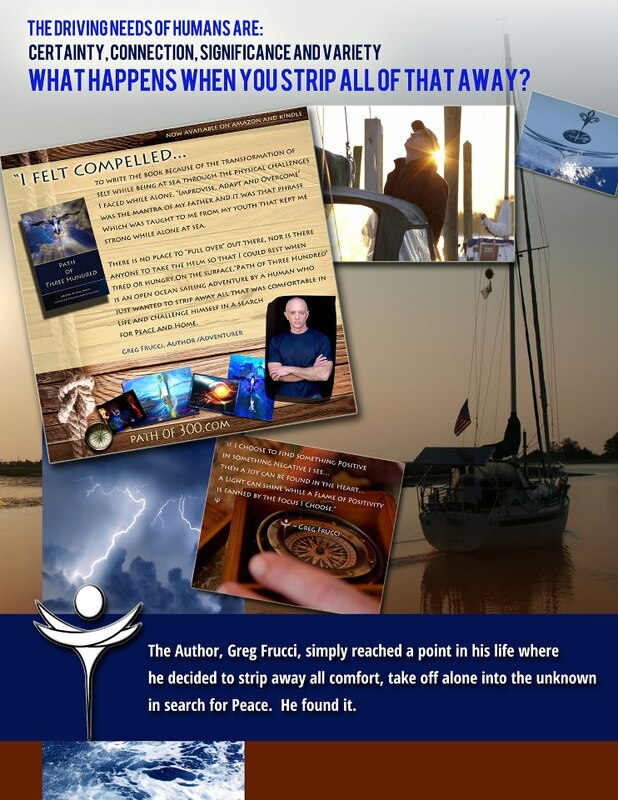 my book y1 (9/1/12) is about sailing and finding ones true happiness as well. I look forward to following your site and checking out your book. You are on an amazing writing quest! Just stopping by to peruse your site and thank you for your recent visit and like on “Shift Key.” [When I enter your site, I feel like I’m a knight in another realm!] Thanks! Thank you for asking Ute. The words are flowing and my goal is to publish via CreateSpace on August 9th, 2012 which is the anniversary of publishing “Inspiration From A Muse: Poems To Her” because the poems were written around the voyage. Much meaning in the image…and I’m writing a post about it. peace to you and Cheers! Your book idea sounds wonderful! And thanks for stopping by my blog as well! Look forward to reading more! Hi, this sounds like a fascinating book! Thank you for the like and stopping by my blog. Keep writing! Thanks for visiting my blog – hope you found something of value there. the process of being alone at sea hundreds of miles offshore with no place to “pull over” to think, rest, eat, plan, etc…. for…there was no other Choice and what a wonderful experience. Love this concept, idea for a book! Look forward to reading more! Thanks so much for having a look at my blog–like you, writing is a passion. It’s very clear in your excellent work. Enjoy the journey. Thanks for stopping by Shadows and liking a post this morning. On your journey for the discovery of peace for Petah, I do hope that you will return to Shadows often. After all, the stories of life are but shadows of Love. Welcome Julianna and thank you for perusing Path of Three Hundred. It’s a work in progress and I’ll continue to upload chapters as I write. “light-fueled energy”…thank you for the warmth. 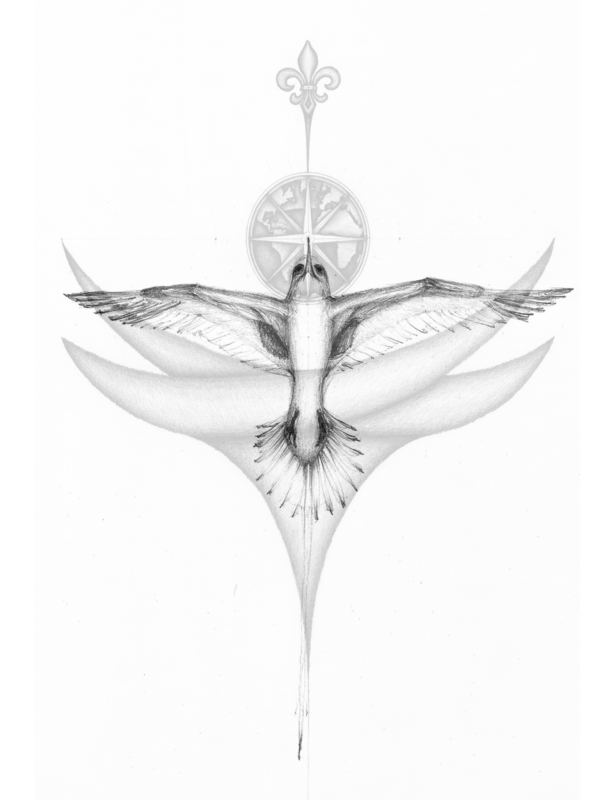 Love your illustrations and the book seems so inspirational, looking forward of new installations. Thank you Bernadett, I’ve been enjoying the Co-Creative process of Art with the graphic artist, Katherine Gerardi who is taking my sketches and turning them into colorful pieces which will be used in this book. I’m happy to know “Path of Three Hundred” is inspiring to you and others. The goal of the book is just that…through following the expierences of Petah, my wish is that others will feel what he feels as they follow along, thus making the story their own. Katherine seems to channel the story through her personal creative process…amazing to discover what she comes up with as this unfolds…I too look forward to this Path as we all walk it. Thanks for stopping by my blog. In regards to your book, there is no greater high them demonstrating grace through courageous action.